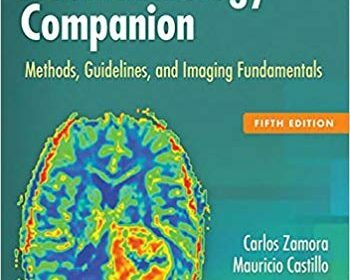 Updated throughout and extensively illustrated, the Fifth Edition of Neuroradiology Companion is an ideal one-volume resource covering the fundamentals of neuroradiology for residents, fellows, and practitioners. More than 1,400 high-quality images depict key disorders of the brain, spine, and head and neck. Each disorder is presented in a concise, consistent manner, with bulleted Key Facts, six to eight images that show the most common findings, and suggested readings. This concise volume can be read cover-to-cover during neuroradiology rotations and also used for daily consultation in the reading room. The latest clinical information brings you up to date with new advances in radiology, as well as basic current concepts of neuropathology, neurosurgery, and neurology. Updated protocols for CT, MRI, myelography, digital subtraction angiography, and sedation and anxiolysis, as well as new information on contrast media reactions, keep you current with recent changes in the field. Suggested Reading resources have been thoroughly updated, and the newly streamlined text makes it even easier to access key information. More than 800 new images clearly depict recent cases and highlight subtle findings.